Some fans may have noticed that Io was not included in this year’s Arcana vote—indeed, we removed the wispy Fundamental from the selection process for pressing ceremonial concerns. But Io’s influence reaches into the very fabric of the Dota universe itself, and many astute fans found they could still hear the comforting sounds of Io’s benevolence seeping through the stream of rewards by clicking on the blank space at Battle Level 245. With today’s update, however, Io has at last relocated directly into the line of level rewards to unveil an all-new Arcana. After seeing Io float away with a second-place finish in last year’s hotly-contested final round, we decided this year that the wisp deserved to skip the vote and select its own favored form. And what a heart-warming form it is! 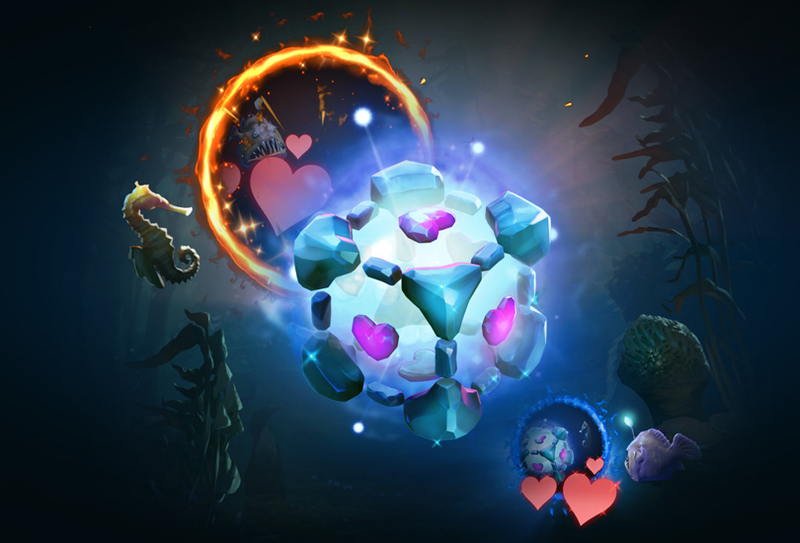 Now available to all Battle Pass owners who surpass level 245, the Benevolent Companion Arcana imbues Io with the form and function of the best friend anyone could ask for. Featuring new animations, custom ability effects, custom sounds, and a special death effect, this exclusive Arcana can be obtained by reaching level 245 in The International 2017 Battle Pass, and—much like the Kunkka Prestige item at level 225—will not be available to market or trade. Don’t miss out—make sure to level up your Battle Pass before the end of The International to claim yours. Then take heart, all ye who unlock this reward, for Io knows that no matter where the tide of battle leads you, the bonds of friendship will always carry the day.